For the past two weeks, all over the media, an image of a little girl who was found dead in a trash bag along the shore of Boston Harbor has yanked at the hearts of more than 51 million viewers. Having lost my own daughter four years ago, I was mesmerized by the picture. Someone’s beautiful daughter, her riveting eyes. Thrown away. How could this happen? The computer-generated image was produced by Christi Andrews at the National Center for Missing and Exploited Children. Using autopsy reports, morgue photos, and stock images of facial features, Andrews constructed a digital composite that should come close to what the toddler looked like in life. Andrews selected a similar face shape, added eyes that matched the toddler’s in size and color, and filled in the features with stock photos. She likened the process to building a Mr. Potato Head. Forensic artists like Andrews often include age progressions in their composites, modifying images to reflect the effects of aging, to show likely current appearances of long gone missing children. They use the same Adobe Photoshop program I use. When I investigated further, to learn how Andrews recreated the face of ‘Baby Doe,’ the child found near Boston, I made a discovery: many bereaved parents find age progression on photos of their deceased children to be healing. They use services such as Phojoe Photo in order to see what their children might have looked like as adults. 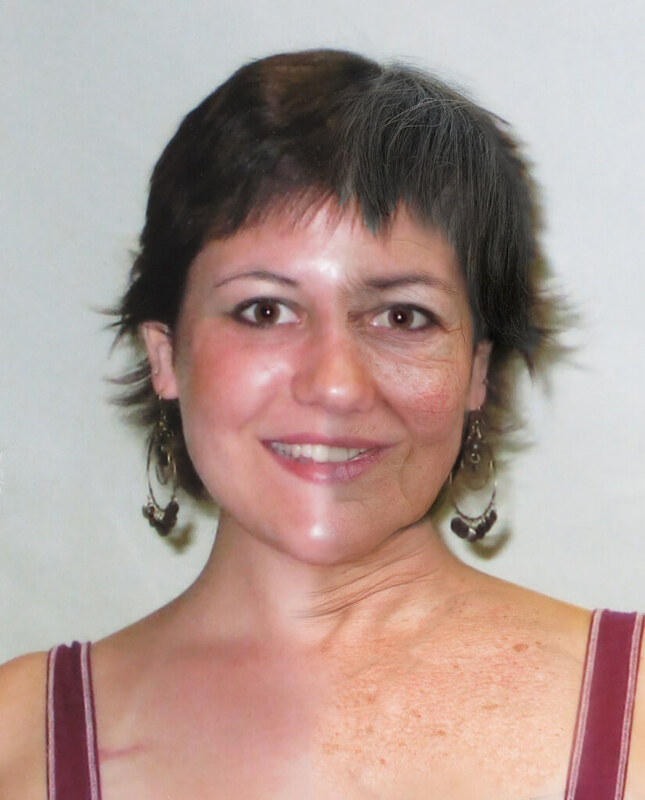 With all the photo manipulations I’ve done on my daughter’s image, aging her face had never occurred to me. What would Marika, who died before turning twenty-one, look like at my age, I wondered? On one half of Marika’s face I deepened her natural lines and then added from my own stockpile of wrinkles, sags, and age spots. So now I have something else to stare at. What images do you find comforting? This entry was posted in 2015 and tagged Adobe Photoshop, age progression images, Baby Doe photo, bereaved parents, Christi Andrews, deceased children, forensic artist, missing children images, Missing Children Photos, National Center for Missing and Exploited Children on 2015/07/13 by Robin Botie.